The French community of the Brothers of the Sacred Heart, founded in Lyon in 1821, responding in its missionary spirit to the Bishop of New Orleans to come to the “new world” to open schools for the French communities of the South. 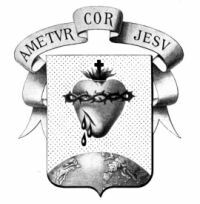 This newly founded American Province of the Brothers of the Sacred Heart quickly began to expand in the United States, arriving at St. Augustine Parish in Manchester, NH. The Brothers, due to a growing number of men joining the community, quickly opened parish schools in Nashua, NH in 1891, Haverhill, MA in 1894 and Precious Blood Parish, Woonsocket RI in 1898. These schools not only nourished the faith and culture of the French Canadian communities but enabled families to educate their children to the 8th grade. In 1909, the Brothers began their first junior-senior high school, Sacred Heart Academy in Central Falls, R.I. In 1924, Mount Saint Charles Academy, a diocesan all boys high school, opened its doors to a number of boarders and commuting students through the leadership and mission of the Brothers. The school was immediately recognized as an excellent seat of learning and increasing enrollment and expansion marked the ensuing years. Young men now attained a high school diploma and many began going on to college. Throughout the 20th century Catholic French-Canadian education continued to expand with the Brothers. Two of the Brothers’ schools, Bishop Guertin and Mount Saint Charles took advantage of the closing of their sister schools in the late 60s. A decision to transform the schools into co-educational institutions coincided with the announced closing of the all-girls’ schools in each city. During the ensuing decades, the schools continue to flourish. They have been accredited by the New England Association of Schools and Colleges and recognized as Blue Ribbon Schools of Excellence by the U.S. Department of Education. The Brothers of the Sacred Heart maintain a strong presence within these educational facilities, carrying on the dreams of its founders. Collaborating with lay educators, they prepare students to meet the challenges of the new millennium as they urge their students to be guided by the schools’ mission to develop their gifts and talents for the betterment of themselves and in service to society.